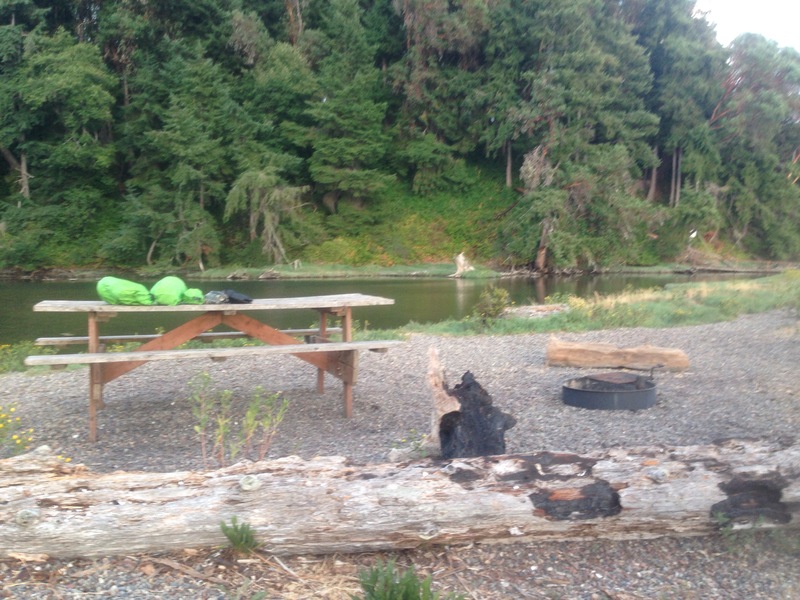 Reserving a camp spot months in advance is necessary when it’s a beautiful summer and there’s only one spot. The difficulty lies in weather. We only had the spot reserved the night July 25th but the weather forecast was thunder and lightening at 4pm on July 26th and the tides wouldn’t allow us to get to Luhr Beach where everyone recommends to launch from (at high tide) before the storm. 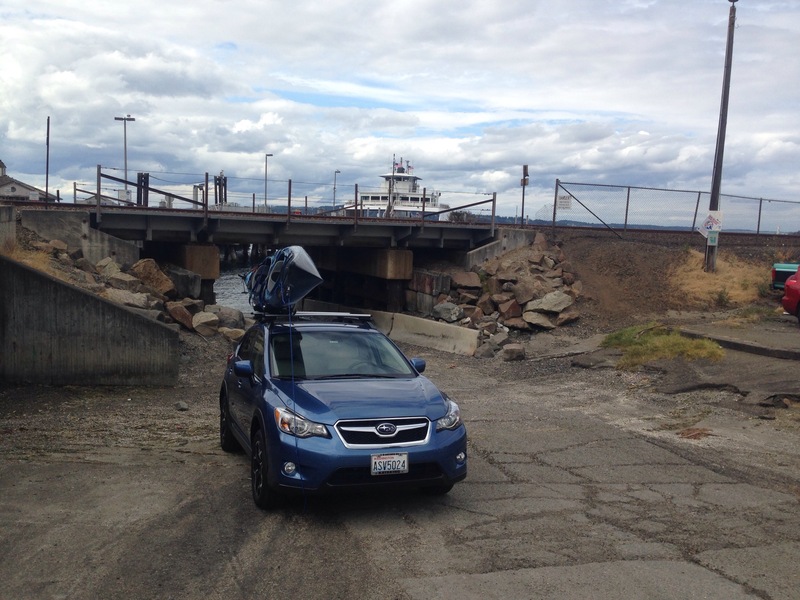 Instead of a 2 mile paddle we planned for 10 mile paddle, launching from the second parking lot (to the right, under the train tracks) at the Steilcoom Ferry dock South of Tacoma. Just don’t forget to bring cash ($6 for “12 hours” – which we parked in for 19 hours without a problem) or check for parking or you’ll be wasting precious daylight looking for an ATM like we did. Or trying to find a spot in the neighborhoods, which is all zoned at 2 hours. We launched at max ebb, against us, because that was the only time we could leave. 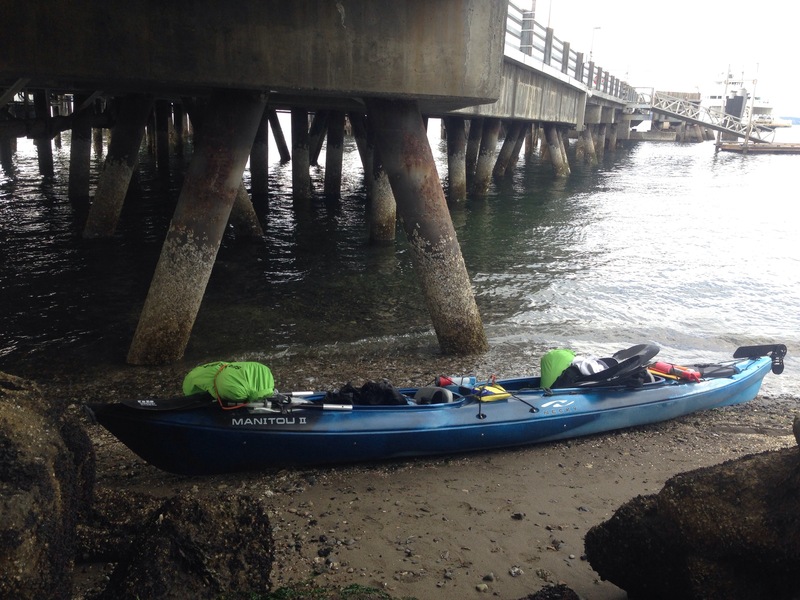 Paddling under the bridge and by Ketron Island was easy (except for almost paddling by McNeal Island where the prison is because we didn’t look at the map) but once we reached the south tip and crossed to Anderson Island our battle began. I don’t have any photos of the crossing because it was too rough and windy and we had to just keep paddling. It was difficult to find the actual campsite (you can’t see it at low tide from the water) so a GPS (even google, since you have cell signal) is helpful (it’s at N 47′ 08.787 W122 43.965) but just trust you’re in the right bay (Carlson Bay) if you have a map and at least right now there’s a port-a-potty on the beach. We got to our site during a beautiful sunset and quickly pitched our tent. 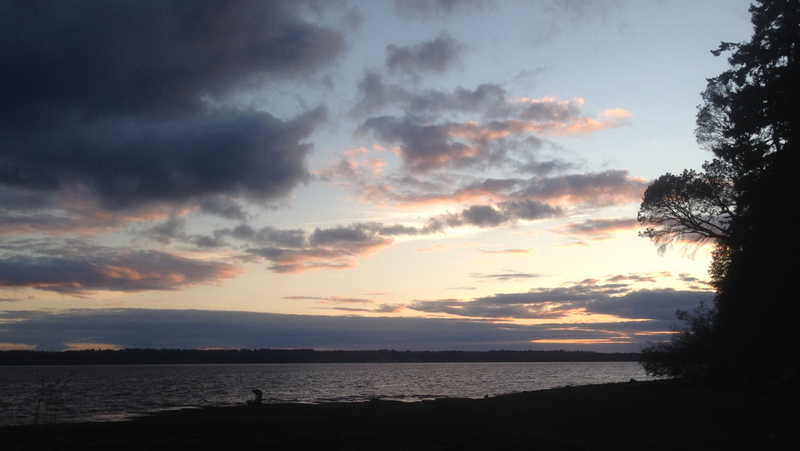 Amenities include a picnic bench, fire pit (and wood on the beach), and large logs between you and Puget Sound. Just don’t forget to bring your own water. We could hear during the night how close the water got to us but not a drop got into our site, despite being nearly surrounded. We also heard bats and raccoons during the night, but none bothered us or our food (in an ursack). 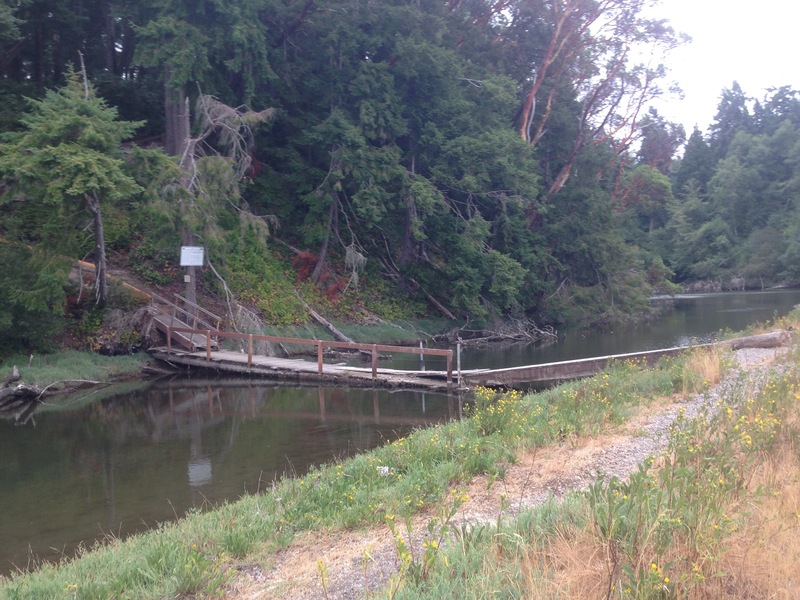 Below is the bridge that was mentioned in the Cascadia Marine Trail Guidebook that they said leads to a flush toilet (and gets covered during high tide). We only went a little ways up the steep trail before heading to the port-a-potty where we met a couple on the beach you said they don’t know anything about flush toilets and have been on the trail. Who knows, we’ll have to search again when the need is not so urgent. 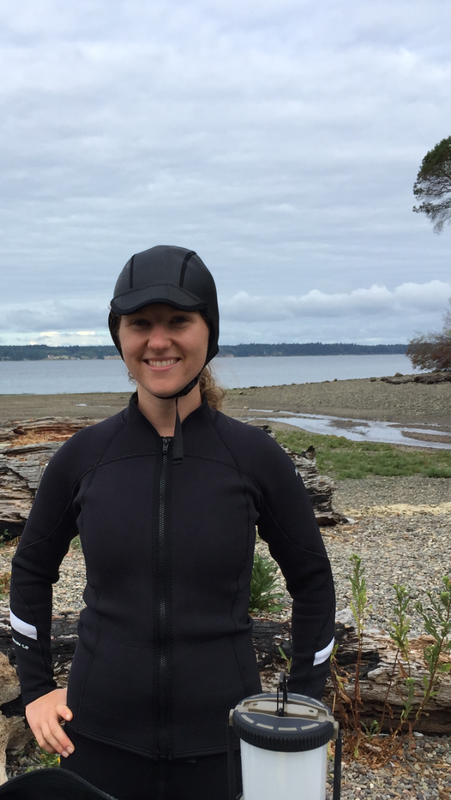 It was chilly in the morning so I got to try my neoprene hat for the first time. It was great! Until we were paddling, then it was too warm. We had a wonderful morning paddle back and had our gear unloaded and put away before the first rain drops began. 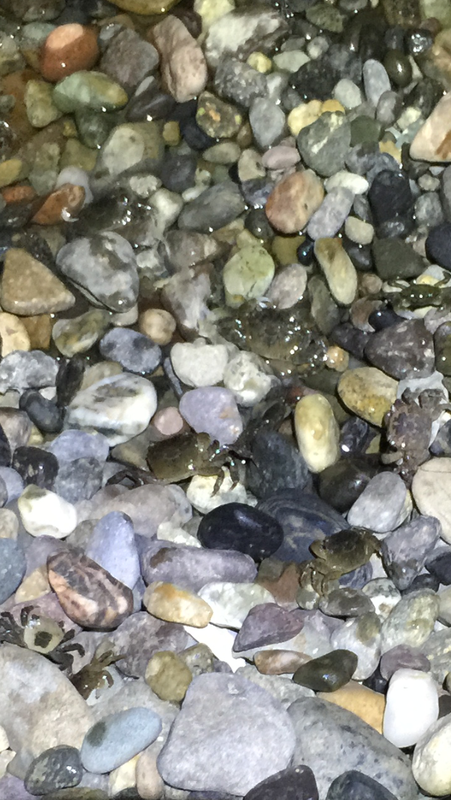 Looks like you had a good adventure on Anderson Island. There are no flush toilets anyway at Andy’s Marine Park (where you were located at). Still that is a wonderful beach to visit and camp at. Glad you had a good time! 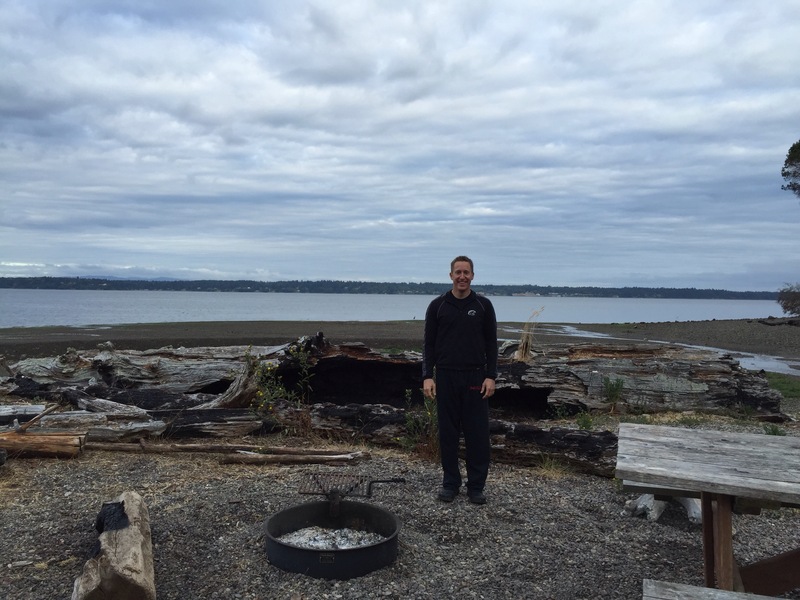 When I went to Anderson Island, there was no fire ring and no picnic table. Nice additions! The pit toilet up the hill reminded me of “The Silence of the Lambs”. We were there 4th of July weekend, and fireworks lit up the opposite shore. That would be a fun time to go! Good to know the toilet exists 🙂 I don’t know when the picnic table went in but the fire ring was only put in this summer. One reason I liked them was it marked the spot where the water most likely wouldn’t go during high tide! Did you run into that at all?